﻿ Rodney Littles II - How do you debug a Cake addin? How do you debug a Cake addin? It's no secret, I like Cake. When I have to write a script to build my source code, I use to Cake. On my most recent expedition writing a Cake script to publish a UWP application, I noticed Hockey App publish failed, Cake.HockeyApp was throwing an exception. When I realized it wasn't the way my script interacted with Cake, but an issue with the addin itself, I immediately hit the Cake Gitter channel. I was in search of some documentation that allowed me to debug a Cake addin so I could address the issue that I was having Friday afternoon at half past quitting time. Find the error and fix it! For the purposes of this post, I will cover steps 1 and 3. 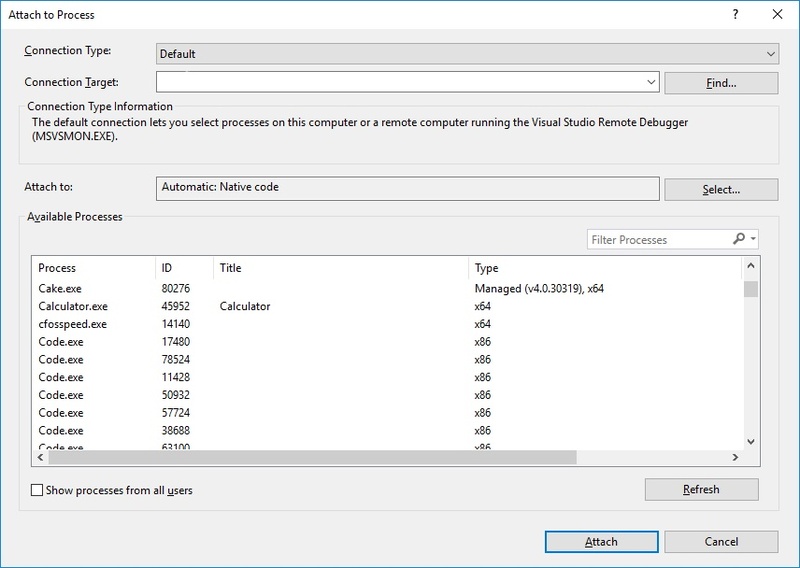 Step 2 is no more than building the addin source code in Visual Studio. This is the easiest part. I modified the Invoke-Expression line of the bootstrapper to resemble the following. NOTE: We should revert this before we commit. Invoke-Expression "& `"$CAKE_EXE`" `"$Script`" -target=`"$Target`" -configuration=`"$Configuration`" -verbosity=`"$Verbosity`" $UseMono $UseDryRun $UseExperimental $ScriptArgs --debug"
I navigate back to Visual Studio Debug -> Attach to Process (or Ctrl + Alt + P), pick the Cake execution with the corresponding process id and I hit break points!!! Now I can debug the issue I am seeing, determine if it is user error or the addin, and resolve it either way!